By the time you read this, we will all have enjoyed a wonderful installation and reception of the new 2015 Officer Teams for our Valley. 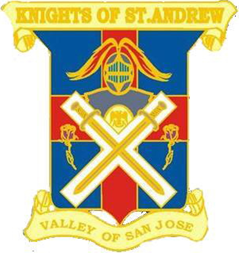 Our work started already in January with the Masters of the four bodies and the Chief Knight of our Knights of Saint Andrew meeting with Illustrious Ken to set the foundation for this year’s program for the Valley. We are looking forward to a good mix of social, formal, casual, entertaining and educational events - hopefully something for everybody. For the Chapter Rose Croix, we are planning on continuing to explore the Santa Cruz Mountains wineries. We had a great time last year, with a total of 10 wineries visited over the course of the year on our several events. Well, there are more wineries - we only covered a fraction of the about 50 so far, and we usually do only about three per event, usually in close reach! For those not yet familiar with the Santa Cruz Mountains wineries, many of them only open a few times in the year, on the so-called Passport Day. On those days, the third Saturday of April, July, November and January, wine cellars are opened for tours, barrel samples are tasted, and often some snacks are served and music is played. As a reminder, all you need is a one-time-only purchase of the “Passport”, a $45 little book that entitles you to visit the participating wineries, which will cover your tasting fees on those days for a couple of years. Do the math. During that time, if you participate just a couple of times per year, it will be just a few dollars per winery, vs ten to twenty up in the touristic Napa and Sonoma Valleys. Passports can be ordered online at www.scmwa.com or purchased at participating wineries – while their supplies last! I suggest that you order your Passport online NOW to prepare for the wine tasting tour. We will have fun again! For those that participated last year – your Passport is good for this year, so come on and join us again! The first Passport winery trip for my year as Wise Master will be Saturday April 18th. Please contact me by phone with any questions and let me know your favorite wineries. 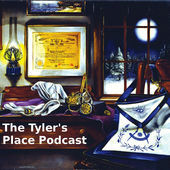 I will communicate details about the choice and meeting point in my next article. 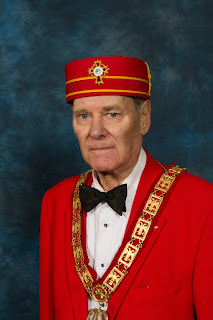 I am looking forward to this year as your Wise Master, and would like to thank the officers in my line for continuing their service to the San Jose Scottish Rite for this new year.